This book is almost like a work of fan fiction. What if this cast of characters were suddenly let loose in an unlikely scenario. Queen Elizabeth II, despondent and full of wanderlust, embarks on an unusual trip. Constantly surrounded by assistants, servants, schedules, and protocol, she is looking to reconnect with simpler days. After her annus horriblus, (the breakup of Fergie and Andrew, Diana and Charles and the fire at Windsor Castle), it seems nothing is the same. One afternoon, while visiting her beloved horses, she accepts the loan of a hoodie against the sudden rain. Slogging back to the palace, she notices that she isn’t recognized by her own guards. Surprised and amused, she takes advantage of the situation. What begins as a walkabout to the local cheesemonger becomes an escape from England altogether. She jumps aboard a train headed for Waverley Station in Edinburgh. Edinburgh, where her beloved Britannia is now docked, open as a museum. The book paints a picture of a tired but thankful Queen who could use with a bit of human interaction that isn’t based in ritual. But more than that, it focuses on those who orbit the Queen. Butlers, assistants, ladies-in-waiting, equerries and proud citizens all intertwine to “save” the Queen from her impromptu holiday. 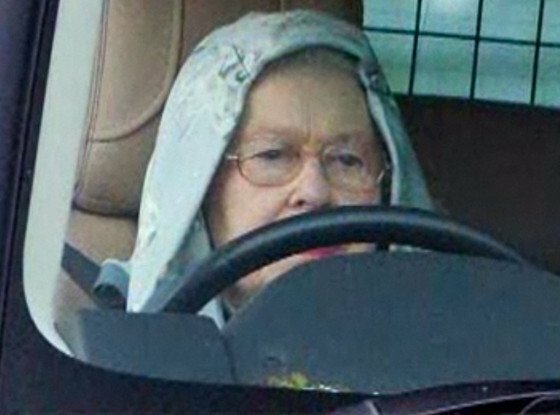 A photo of the actual Queen Elizabeth II wearing a hoodie while on vacation near Balmoral. The book is a bit staid; respectable but not anything outstanding. It wanders, too much in fact, away from the tender themes that it does have. The Queen herself is barely in it. 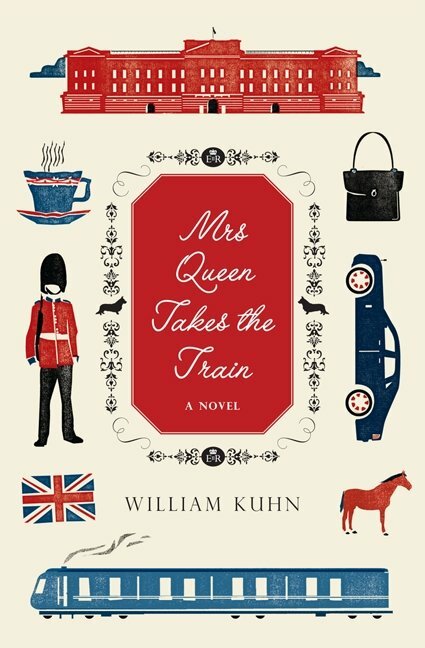 Instead Kuhn chooses to explore the backstories of his other characters, what brought them to work in the Household. For fans of narratives that mosey along, with plenty of tangents, perhaps this is the book for you. For Anglophiles or fans of snappy stories, I suggest they look elsewhere. May thanks to Harper for the advanced review copy. Great review. I can see that this book is definitely not for me.